In recent years, interest in Japanese pop culture, particularly anime and manga has dramatically grown all over the world. Jamaica is no exception, with a strong following among young Jamaicans, and this is a significant part of the active cultural exchanges between Japan and Jamaica. 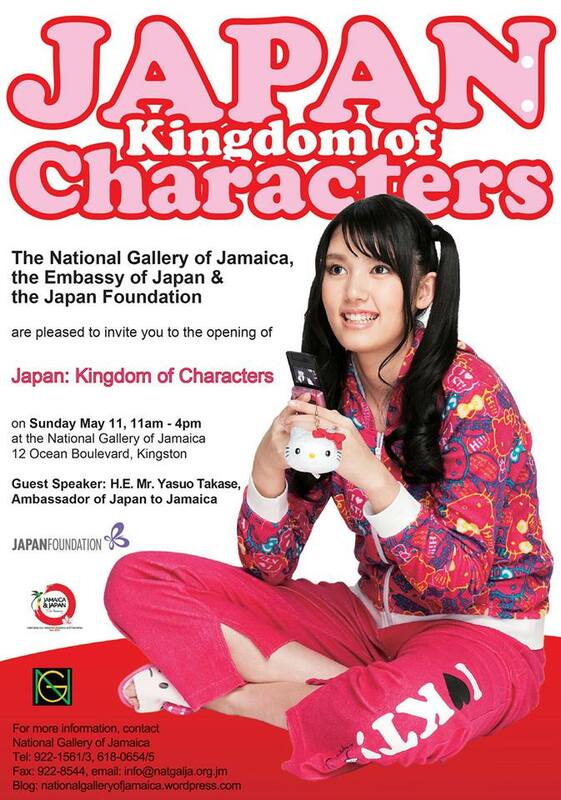 The National Gallery of Jamaica is therefore pleased to present the exhibition JAPAN: Kingdom of Characters, which showcases popular anime and manga characters and which is scheduled to open to the public on Sunday, May 11, from 11 am to 4 pm. JAPAN: Kingdom of Characters showcases anime and manga characters that have been particularly popular in Japan. Under the theme “Characters and the Japanese”, the exhibition asks various questions: What exactly are “characters”? Why do characters appear and become popular? What kind of social reality do they reflect? The purpose of the exhibition is to introduce the world of characters in a broader sense and examine their impact on Japanese society. Exhibition highlights include life-sized models of some of Japan’s most popular characters and a replica Hello Kitty room. Organised by the Embassy of Japan in conjunction with the National Gallery of Jamaica and the Japan Foundation, the exhibition commemorates the 50th anniversary of Japan-Jamaica diplomatic relations and is also part of the National Gallery of Jamaica’s Fortieth anniversary programme. Did I just read “replica Hello Kitty Room” ?! Please take photos and make a post about this cool event. Sounds like it will be an awesome gallery and will most certainly garner a huge crowd. Enjoy the festivities, oh how I wish I could attend and partake in the sights! Wait, on Mother’s Day? Eeeeh….not going to be possible for me.